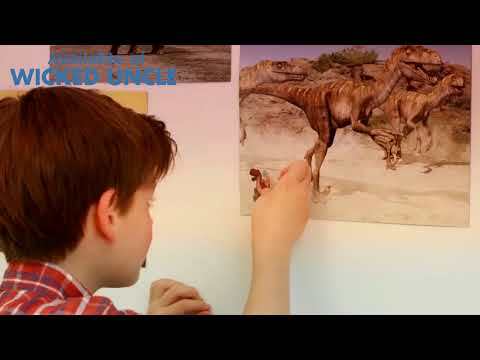 Thanks to the digital magic of Augmented Reality, you can bring stickers to life, including dinosaurs and cars. Each fun book contains two sheets of stickers with 20 characters on each and 11 beautifully illustrated fun scenes. Download the free APP, place your tablet or smartphone near the visual trigger then hold it up to see them come to life. Be entertained by a slithering snake, the iconic T-Rex, a flying hot air balloon or a creepy spider and more. Alternatively, turn your camera around and take some fun selfies with your new animated friends - sure to make you smile!